The Affordable Care Act, often referred to as Obamacare, is officially called the Patient Protection and Affordable Care Act (PPACA). The goal of the law is to provide better access to healthcare for all persons in the United States. There are many opinions on this law, but Affordable Care Act health coach opportunities should increase due to provisions in the bill. Interestingly, for those of us here in the U.S., just mentioning health care reform is enough to fire up political opponents, unnerve companies, and cause worry about the downside of socialized medicine, like waiting months for procedures, as in Canada and parts of Europe. There is also the concern over cost and how it will affect the economy and businesses. Original PPACA cost estimates are skyrocketing and even some new taxes that fund it are being labeled by members of both political parties as “job killers.” In reality, it will take months or even years before all of the perceptions and realities are worked out. 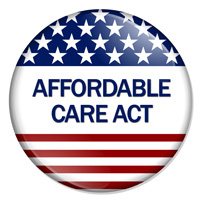 In the meantime, the Dr. Sears Wellness Institute is highly committed to researching and exploring the Affordable Care Act health coach opportunities under this law. While it is clear what consumers can expect and employers and insurance companies are expected to provide, it is not clear how the PPACA is going to work behind the scenes, including the roll and procedures of the numerous government agencies involved. This second part is the most important for the Affordable Care Act health coach opportunities, since within this are the provisions for wellness programs, nutrition education, etc. Initial review and consultation with experts has revealed several potential long-term Affordable Care Act health coach opportunities within the law’s preventative and wellness education provisions. Affordable Care Act health coach opportunities may include things such as partnering with doctors who accept Medicare and/or Medicaid since their reimbursement rates will depend on how healthy their patients are. Ultimately, even the experts really don’t yet know what the end result and procedural process will be. Short term, there are some obvious Affordable Care Act health coach opportunities driven by its roll out, beginning with employee wellness. Many employers and their providers fear that health-care costs will continue to rise at a rapid rate impacting their bottom line. Therefore employers are beginning to act on the reality that the best way to offset healthcare costs is to have healthier employees and families. Dr. Sears Certified Health Coaches are in a favorable position to offer effective, low-cost and minimally invasive programs to employers and their insurers. We also know many consumers fear, whether based on reality or not, that it will only be a matter of time before healthcare will be rationed in the United States due to the additional demands and decisions by government run committees. For them, the answer will likely be a renewed interest in self-care, which is something Dr. Sears Health and Wellness Coaches specialize in! We at the Dr. Sears Wellness Institute are optimistic that as a result of the PPACA Dr. Sears Certified Health Coaches are in an extremely favorable position to capitalize on their skills and services. Our organization is committed to invest in retaining the necessary healthcare and legal experts to assist us in identifying the opportunities and understanding the processes and requirements necessary to offer our effective and powerful services. It will take time for all of the opportunities to come to fruition, especially given the complexity and involvement of so many different government agencies. Currently, the government agencies involved include the Department of Labor, the Treasury, and Health and Human Services. Then the arms begin to stretch with the IRS, CDC, CMS (The Center for Medicare & Medicaid Innovation), AHRQ (Agency for Healthcare Research and Quality), and so on. The National Prevention, Health Promotion and Public Health Council, the Prevention and Public Health Fund, and the National Healthy Worksite Program are especially important to watch as well. The number of parties involved is mind boggling, isn’t it?! As we continue to research the PPACA, we invite you to participate in the conversation by posting your thoughts, knowledge, and experience in the comments below.